Take a look at the four teams in contention for the 2018 NWBL title this weekend with the finals tipping off Friday night. Why They Will Win the Title: Heading into the playoffs on a 12-game winning streak, the Spinning Bullets raced into first place during the last round and have not lost since April 7. The club has been steady improvers over the past few years and 2018 could be their time while the late addition of Bill Latham (17.3 points, 12.3 rebounds and 5.2 assists per game) has added another dimension to a team that is already very impressive. 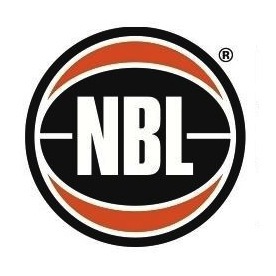 A vast array of contributors across their roster has been Queensland’s biggest strength this season and while Tom O’Neill-Thorne leads them with 22.5 points and 7.2 assists per game, eight players average at least seven points per contest and seven guys record over two assists per game. 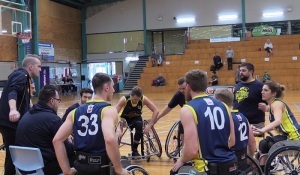 While not on either of those lists, Steven Elliott is preparing for his first campaign with the Aussie Rollers at the IWBF World Championships later this year and he is another strong performer for Queensland. He will be joined at that tournament by O’Neill-Thorne, Latham and Matt McShane to make the Spinning Bullets the most represented NWBL team. Why They Can’t: The Spinning Bullets need to be able to prove themselves in the post-season, especially against Kilsyth and Wollongong who have won five of the past seven Championships. 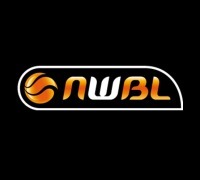 A loss each to the Cobras and Rollerhawks will also give their opponents confidence while in their most recent meeting with Queensland, Wollongong only fell by a point. X-Factor: As stated above, the Spinning Bullets’ greatest strength is their depth and that so many different players can step up on any given night. When O’Neill-Thorne travelled with the Rollers earlier in the year, Jordan Bartley took over to earn the Round 6 Player of the Week after averaging 13.7 points, 7.3 rebounds, six assists and 2.3 steals over three contests. Bumping his numbers up across the board in 2018, Bartley’s improvement alongside a couple of other team mates could be the difference as Queensland chase the Championship. Why They Will Win the Title: Kilsyth raced to the finish line with nine victories out of their last ten games which included two wins over playoff rivals Wollongong and Red Dust. That has earned them a place in the top two and a little insurance should they lose their first game of the post-season against Queensland. Tristan Knowles has again led the way for Kilsyth, scoring 27.7 points per game and shooting 54% from the field while hitting an incredible 50 three-pointers on the season. Jontee Brown has been a star in the paint, averaging a double-double of 12.7 points and 10.8 rebounds and he will not be afraid of taking on the Spinning Bullets, having recorded nine points, 17.3 boards and 3.7 assists across three contests. If a couple of role players like Michael D’Amelio, Brian Carminati or Damon Fent can surprise, Kilsyth are certainly capable of going all the way in 2018. Why They Can’t: The Cobras will be wary of how last year panned out when they also finished the regular season in second place. With the playoffs held on their home court, everything seemed to be falling into place but they lost the Semi-Final, Preliminary Final and bronze medal game to eventually finish fourth. If they begin to find themselves in a similar situation this year, those memories could come back to haunt them. X-Factor: With the likes of Knowles and even Brown’s big rebound numbers taking most of the spotlight, Shaun Groenewegen flies under the radar somewhat for the Cobras. He still averages 15.3 points, 7.4 rebounds and 4.8 assists per game to sit second in each category for his club while he also earned the Round 8 Player of the Week award. A capable three-pointer shooter to complement Knowles and a strong defender who tallied five blocks in a previous meeting with Sydney Metro, Groenewegen’s from will be crucial to Kilsyth’s chances. Why They Will Win the Title: The Rollerhawks need to return to their early season form which saw them win their first eight games of the season. Michael Auprince missed most of that success but has now played 11 games for the season and is averaging a double-double of 18.6 points and 11.5 rebounds (second in the league). Shawn Russell (16.7 points, 7.7 rebounds per contest) and Luke Pople (12.4 points, 5.2 boards, 5.2 assists) join him in double-figure scoring while Auprince, Pople and their leading scorer Brett Stibners will all represent the Rollers at the World Championships later this year. Those four players shoot 50% or better from the field as well and that efficiency at the offensive end will be a major asset for Wollongong as they aim to go back-to-back. Why They Can’t: From starting the season at 8-0, the Rollerhawks lost five of their next ten games and now arguably have the worst form of any team heading into the playoffs. They also own just a 4-6 record against fellow top-four teams and have not beaten Kilsyth or Queensland since mid-May. X-Factor: Placed second in the team for assists with 5.9 per game and fifth for points with 8.7, Nick Taylor is a dangerous addition for the Rollerhawks. His influence has been negated in recent contests though and that has been a significant factor in their drop in form. Against the Spinning Bullets in Round 9, Taylor averaged just five points and two assists over two games but in their Round 1 clash earlier this year, he had 22 points on 10-16 shooting as well as four rebounds, two assists and a block. If he can re-find that form by this weekend, the Rollerhawks will still be odds on to defend their Championship. Why They Will Win the Title: After finishing Round 1 with a 1-3 record, Red Dust completed the regular season with a head of steam to overtake Perth as they succeeded in seven of their last 11 games. The arrival of Josh Turek has certainly been a driving force and he has synchronised nicely with Brad Ness who is averaging 16.7 points and 11.4 rebounds while shooting 51% from the field. Jake Kavanagh has also impressed after he began the year with a double-double against Sydney Metro while Jannik Blair, the Heelers’ representative in the Rollers World Championship team, gets the job done week in and week out with 7.4 points, 3.9 rebounds and 3.8 assists per game. Why They Can’t: Consistency has been a concern for Red Dust in 2018 with no player appearing in all 18 games for the season. They certainly earned their place in the playoffs, winning three more contests than the Wheelcats, but they also finished three games behind third place and own just a 1-8 record against their fellow finalists. Their only success came against Wollongong in Round 4 when they prevailed 76-72. X-Factor: In a similar fashion to USA import Joe Chambers last year who arrived mid-season and led Sydney Metro to a silver medal, Turek will be aiming to carry the Heelers to the podium in 2018. A Paralympic gold medalist with the American national team, Turek has been outstanding in his 11 games this season, averaging a league-best 31.8 points per game to go with 10.6 rebounds and 8.1 assists while his size is also a concern at the defensive end, recording a block in three of his last five outings. Hitting 59% from the field, Turek could be the difference-maker for Red Dust as his club aims to create history.